Elevators, escalators, and moving walkways are provided to minimize walking distances. Moving walkways transport you from the parking garages to the Main Terminal. When utilizing Ground Transportation (GT), please first alert your airline provider of any wheelchair or skycap service needs. Also, alert your GT driver of your service needs. Discounts: MCO provides free parking in accordance with section 316.1964 of the Florida Statutes for those vehicles with specialized equipment, such as ramps, lifts, or foot or hand controls, or vehicles displaying the State of Florida Toll Exemption Permit or vehicles with a disabled veterans plate. More information regarding fees, payment methods, screening and other information can be found on our Parking page. Passengers may be dropped off on Level 3 (Departures) curbside check-in if provided by your airline. If your airline does not provide curbside check-in service, please consult them prior to your arrival for assistance. You are welcome to drop off, park, and reunite back curbside with your party. If you wish to park after dropping off passengers and luggage, follow signs to Terminal Parking, or use the “Quick Park” ramp on the “A-Side” or “B-Side” Terminal Departures Level to access the Terminal Parking. If you require a wheelchair, please contact your airline in advance and they should be able to provide a wheelchair for your use within the airport. If you require a wheelchair for the duration of your visit, please email Visit Orlando or visit its web site. They should be able to provide you with a list of companies offering such a service. Skycaps are available to assist passengers. Typical services include curbside check-in, carrying baggage, wheelchair assistance, etc. Please contact your particular airline to arrange for assistance from its skycaps. It is customary to tip skycaps for services provided. All public restrooms accommodate the disabled. Service Animal Relief Areas are available on Level 2 on both the “A-Side” and “B-Side” of the Main Terminal. The “A-Side” Service Animal Relief Area is located at the North East corner of the building (to the right as you exit the building) near the Southwest Airlines Bag Claim. The “B-Side” Service Animal Relief Area is located at the South West corner of the building (to the right as you exit the building). 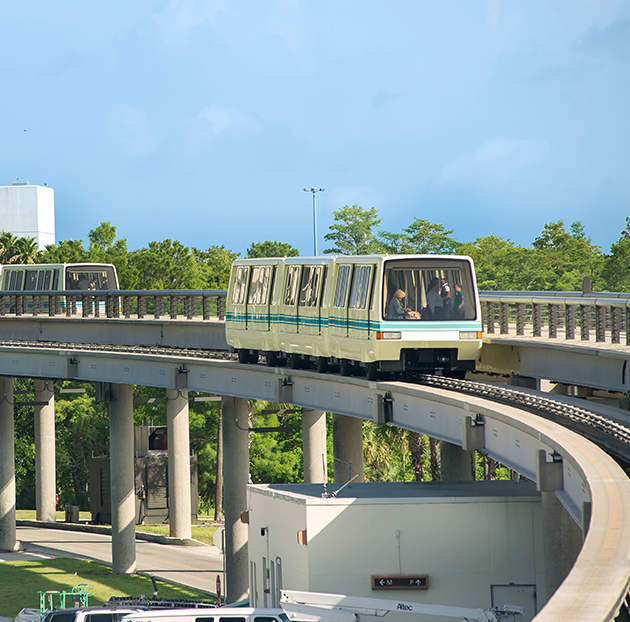 When you click on the Pay Now button below, you will leave the website of the Greater Orlando Aviation Authority (the “Authority”) and will be redirected to the Online Payment Portal – PayPoint (“PayPoint”), which is operated and maintained by First Data Merchant Services (“First Data”). The Authority has no control over PayPoint and does not assume any responsibility, endorse or guarantee any aspect of your use of PayPoint. We recommend that you review the First Data Online Privacy Statement (“First Data Privacy Statement”), which is contained on the online payment portal, to fully understand First Data’s privacy and security practices. Further, we recommend that you review the Authority’s Legal Disclaimer/User Agreement (“Authority User Agreement”), to fully understand the Authority’s privacy and security practices. By accessing or using PayPoint, you agree with the terms of the Authority User Agreement, with the terms of the First Data Privacy Statement and with any and all other terms provided by the Authority and First Data with respect to your access or use of PayPoint. If you do not agree with the foregoing, do not access or use PayPoint. Please note that the Authority’s Finance Department makes every effort to produce and publish the most current and accurate information possible. However, payments received via PayPoint are not processed until the next or following business day and will not be reflected until that time. When you click on the CONTINUE button below you will leave the website of the Greater Orlando Aviation Authority (the “Authority”) and will be redirected to Viewpost. The Authority has no control over Viewpost and does not assume any responsibility, endorse or guarantee any aspect of your use of Viewpost.